Hi everyone, Jennifer Uhlarik here. I'm taking a little R&R this month, so guest blogger Morgan Tarpley has offered to step in on my behalf. I hope you'll enjoy learning about her trip to Germany! I'll see you all again next month. This writer’s trip to Germany and back over the Thanksgiving holidays a few years ago was a 12-day whirlwind of culture, language, history and fun with words like Grüß Gott (short for “May God greet you”) popping up in my vocabulary. The journey began by flying into Munich, where I stayed several days, then headed north toward Berlin for a few more and returned to Munich for the remaining time. In all, I was able to spend time in Munich, Berlin, Dachau, Nuremberg, Salzburg, Austria and several other places. I was in Germany to visit my friend from college, Sascha, and other friends from northern Germany. I was very lucky to have native guides for nearly the entire trip, which made it extra memorable. The time was the end of November, which may not seem like the ideal time to visit Europe due to the bare trees and beginnings of a usual wet and cold winter, but it was a perfect time for me. One reason being the weather was unusually warm—mostly sunny with no rain in sight. The other reasons were two amazing seasonal experiences: the opening of the Christmas markets and the attendance of a Kathreintanz. 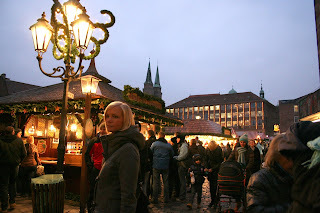 Just about every city, town and village has a Christmas market (large cities have dozens). 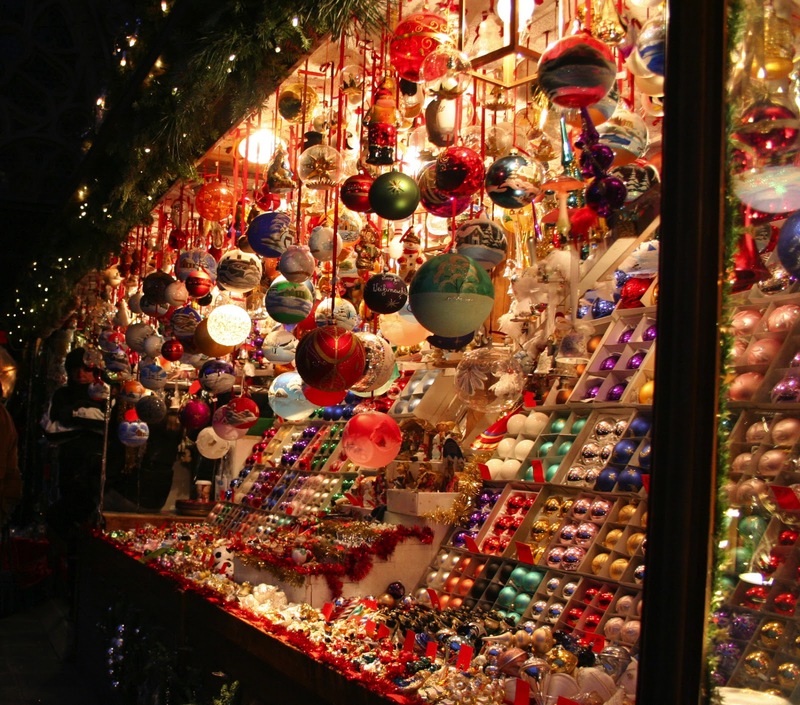 Christmas markets, which are usually held in a prominent outdoor area, open the last week of November and run through Christmas. 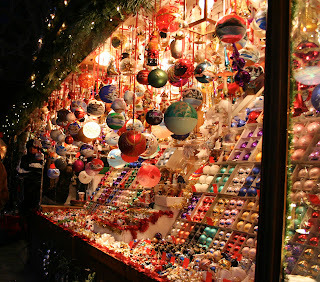 Locals and tourists alike bundle up and go to buy handmade gifts such as hand-carved wooden toys, glass ornaments and small lit-up ceramic houses and enjoy the atmosphere while sampling a large array of sweets, roasted nuts and a steaming cup of “Glühwein” (hot mulled wine) to stay warm. I attended several of these markets in various places and it was just magical. The Kathreintanz came in at the end of the day I visited the former concentration camp of Dachau. If you choose to visit such a place as Dachau, you urge you to have a Kathrein dance awaiting you for the evening to lift your spirits a bit. A Kathreintanz (or Kathrein dance) is held on the last Saturday before November 25 and is the end of the traditional dance season. This tradition is maintained in Bavaria (Germany’s southernmost state) and parts of Austria and has been going on for a long time. The event goes to the holy Catherine of Alexandria, whose memorial day is November 25—one of the last saint’s days before Christmas. Advent is a time of penance and so-called closed time to prepare for Christmas. 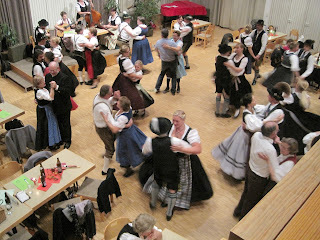 Traditional Kathrein dances are rarely public events and are usually arranged by local heritage clubs and groups. Traditional music is played – consisting of hammered dulcimers, guitars, harps, horns and more. The dances include variations of the waltz and polka as well as the Boarischer, Masianer, Landler and more. Lavish desserts – cream cake and apple strudel – are served as well as Apfel Schorle, my favorite German drink made with mineral water and apple juice. I agreed when Sascha said it about the place with the twirling couples dressed in their traditional lederhosen and dirndls as they waltzed and I did too in traditional dress. I was apparently a fast learner, according to him, so I was able to participate in several of the dances. 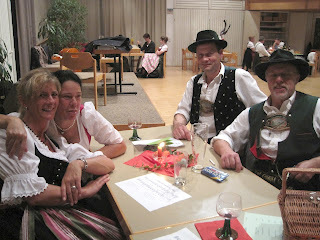 I watched Sascha and his dance partner from his heritage club dance the more difficult ones. The whole event lasted about five hours until midnight and I definitely felt welcome and blessed to experience this unique part of local culture. The evening seemed to be a time not only for locals to celebrate their heritage but also to socialize with each other. It felt a bit like stepping back in time to a simpler time and diving back in Bavarian history. I was so blessed to take part in something so special and historic. There’s only appropriate word to describe it, “Gemütlichkeit” (sounds like Guh-moot-lit-kite). It’s a sense of belonging and home. That’s the way I feel about Germany and I hope to return someday soon. 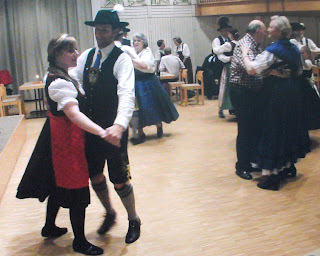 At the end of the dance, everyone joined in a circle and sang a traditional-style Bavarian love song about the end of the day and being happy to be with the one you love and when they all departed the event with a “Pfiat Eich!” (May God lead you and keep you!). Morgan Tarpley is an award-winning newspaper reporter and photographer in Louisiana. She is also a historical novelist currently seeking representation. Besides writing and traveling to over a dozen countries, her interests include acting in her local theater, photography, Civil War re-enacting and singing. 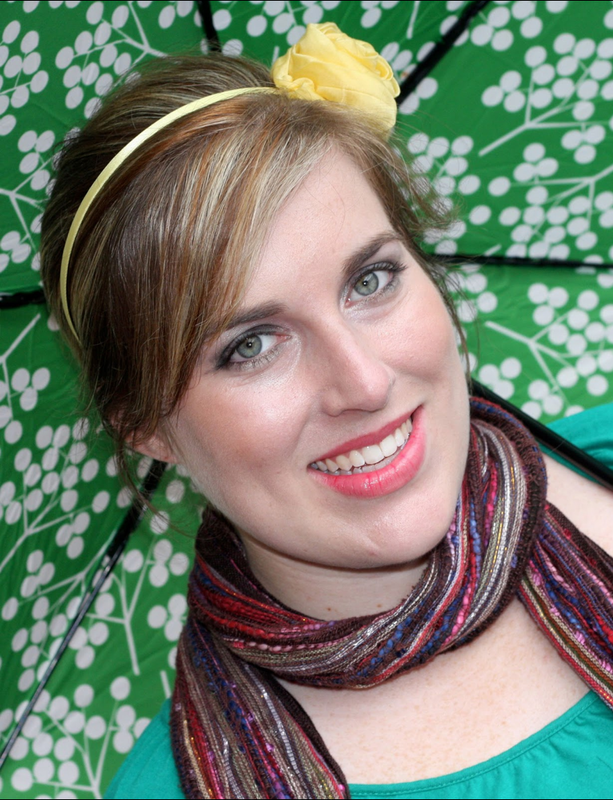 For more information about Morgan, visit her website (www.morgantarpley.com) and blog (www.pensonaworldmap.com). You can also connect with her on Facebook, Twitter, Pinterest, or Goodreads. If anyone would like to be a guest on her blog, contact her at morganltarpley@yahoo.com. What a fun experience! Thank you for sharing it with us. I have heard a lot about the Christmas Markets. Beautiful pictures! We have a small town not far from us called Frankenmuth, otherwise known as Little Bavaria. 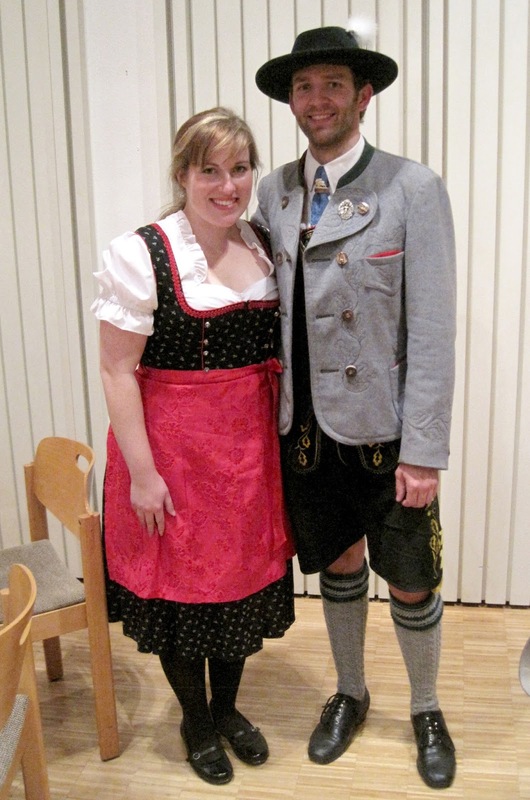 Your pictures and description remind me so much of it that the town must be a good representation of Bavaria. They even have a store called Bronner's Christmas Wonderland that must have originated from the Christmas markets! The inside of the store looks an awful lot like your pictures of the markets! Thanks, Bethany! That town sounds amazing!! :) I'd love to go! What state is it in? Oh yes, Bronner's in Frankenmuth is a MUST!!! We live two hours away and travel there a couple times a year just to shop and get fun Christmas items. Great recommendation, Bethany! Great post -- lovely pictures. 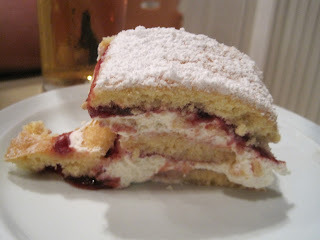 I went to Germany 'many' years ago but would gladly go back just to get a piece of that raspberry cream cake! Thanks for stopping in, Carole! :) That cake was amazing! Maybe you'll get a chance to go back to Germany someday!